I wrote this document after a challenging experience I had recently within an Adobe Acrobat/Reader plugin creation. Even if the Adobe’s SDK it’s nicely documented within PDF files, one of the major reason that determined me to write this article was the frustration I got sometimes when, for instance, trying to see “why the plugin was not loading into Acrobat/Reader” and the Google’s engine provided me a lot of references such “why the Reader plugin is not loading into a browser”. Also, the search functionality from Adobe’s forum didn’t help me too much. I hope to help others by clarifying some challenges might meet a developer at begin of creation such kind of plugin. Adobe has two products for .PDFs file handling: the freeware Reader capable of reading only and the Acrobat for reading and one that supports effective .PDFs creation, Adobe Acrobat. Both Acrobat and Reader use the same SDK but the Reader APIs is a subset of those available for Acrobat (obvious). There are three types of plugins: regular plugins, reader-enabled plug-ins and certified plug-ins. 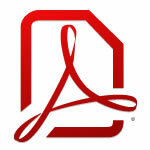 Plug-ins for Acrobat can be developed and distributed freely and no license is required from Adobe. The payment exception appears in case of DRM agreement which includes a $50,000 annual fee and a 5.5% revenue royalty. Adobe considers to apply digital rights management (DRM) in case the developed plugins functionality invoke “encrypting a PDF file or controlling access to a PDF file, then it is DRM. Also, if you add any functionality to the security settings of Adobe Acrobat (…). If your plug-in is required for someone to access the PDF file, then we would consider it to have DRM functionality”. Only plug-ins that are shipped as part of Acrobat and Reader can be ‘certified’. This is so that if users wish to run Acrobat or Reader without any 3rd party plug-ins, they can do this easily by using the ‘Certified plug-ins only’ checkbox in the preferences. Adobe maintains a registry of four-character prefixes for each company that develops extensions for its own products. The new companies that intend to develop such plugins should contact Acrobat Developer Support to obtain a four-character prefix to be used. Adobe’s prefix is ADBE or ACRO. This prefix is needed to be used with various elements as well as private data that it writes into PDF documents. For Adobe Reader the plugin needs a special macro to be defined by project settings READER_PLUGIN. By defining it it’s easy to identify in case you’re calling an Acrobat only specific SDK function because it causes compiler errors. After downloading the SDK the first instinct was trying the project samples. Once with this step appeared the first annoying situation: I loaded all.sln solution into Visual Studio I have been observed that whatever project I built and deployed into the Reader “plug_ins” subfolder I was not able to see them in Adobe Reader. The “plug_ins” subfolder or one more subfolder level down is the place you have to deploy the built plugins. These plugins are DLLs with an .API extension. The confusion has amplified because by downloading and installing the FileOpen WebPublisher Client plugin I observed that the plugin was running perfectly and I saw it even into Help – Adobe Third Part Plug-ins menu. But deploying such plugins in the Adobe Acrobat “plug_ins” folder was up and running. I started reading the Developing Plug-ins and Application for Adobe Reader I followed the “why a plug-in might not load” founded steps but no solution for Acrobat Reader. Just in case I unchecked the “Use only certified plug-ins” Reader’s setting and nothing (‘Certified plug-ins only’ = Edit > Preference: Application Startup: Use only certified plug-ins (unchecked)). Trying to debug over the plugin source code by attaching to Reader project or by starting the debug with Reader application didn’t help me more. Later, after some challenges, I found out that the key point of understanding why the SDK sample DLLs were not loading into Adobe Reader it was that the plugins for Reader need to be signed before being deployed into “\Program Files\Adobe\Acrobat\plug_ins” directory. Such information is not present into that “why is not loading” manual list. As I mentioned earlier the plug-in in Reader must be signed by using a certificate provided by Adobe. It is highly recommended that you make the application for a key at the beginning of the development process since the application can be denied in case the plugin functionality is not in accordance with Adobe’s business goals. Also, this ensures that your agreement is in place when you are ready to build the Reader version of the plug-in. If the key is approved, the developer must build public key and pair key files using a tool in the Acrobat SDK. In the moment somebody wants to develop a plug-in for Acrobat Reader has to fulfill an integration form, not before creating an Adobe ID. According to Adobe the approval process might take some time (up to two weeks). The application should be filled out completely and your responses will be used to determine your eligibility. If you are building a DRM-based Adobe Reader plug-in, we recommend you send an email to with details of your request so that we can guide you through the application process. The size of the public key should be 98 bytes. The size of the public and private key pair should be 451 bytes. The size of the returned encrypted key should be 554 bytes. Save this .key generated files into a proper location cause later might be useful including it into your project.This tool is located into your SDK: ex. sdk110_v1\PluginSupport\Tools\Reader-enabling Tools\win. Submit the new created Public Key file and the fulfilled form document to and wait to get the digital certificate. This will be a RIKLA-DigCert.rc file. In case you will receive approval from Adobe there are several more steps you need to follow to receive your Reader Integrated Key for your plug-in. The Key arrives as a digital certificate. Once this is done the plug-in will load into Reader. Note that if the plug-in is recompiled the plug-in must again be signed (the same certificate and key-pair files can be used). Once you get the digital certificate file, you should sign the fresh built plugin, before deploying it into Reader’s plug_ins folder. Here, because of using SDK 11 I got some confusion because of the steps described in the “enabling the plug-in for Acrobat Reader” section, according to apps documentation guide. They are talking about Makecmd32.exe tool, some API_ENCRYPTED_GIGEST and API_DIGITAL_CERTIFATE IDs, etc. But the SDK 11 has no Makemd32.exe tool coming with. This tool can be downloaded within other RIKLATools.zip file but I preferred following the actual SDK 11 documentation especially because it has another signing approach. Instead of Makemd32.exe I had to use SignPlugin.exe (into SDK docs: Plug-ins and Applications > Developing Plug-ins and Applications > Creating an Adobe Reader Plug-In > Developing and enabling an Adobe Reader plug-in > Enabling the plug-in for Adobe Reader). The Acrobat/Reader applications have few steps approach for plugins: initialization + plugin, handshaking, exporting and importing HFTs and unloading the plugin, implemented as callbacks. A minimum operation that a plug-in must implement is PluginInit() callback function. At startup search into its plugin directory (plug_ins). It looks in the .API files for the exported PlugInMain, it loads the plugin by invoking the LoadLibrary and call the function pointed by the symbol of PlugInMain. For each detected plugin (.API) it attempts loading the file. If the plugin is successfully loaded the Reader/Acrobat invokes routines from PIMain.c and completes the handshaking process. Before closing Reader/Acrobat the PluginUnload callback function it’s executed. That’s the proper place to release the allocated resources. In the initialization phase, the plugin hooks into Acrobat’s user interface by adding menu items, toolbars, etc. The unload procedure should free any memory the plug-in allocated and remove any user interface changes it made. Handshaking is also one of most important step. The application performs checking with each plugin before opening it. It is the step where a plugin for Adobe Reader it is tested before loading. During this operation the plug-in specifies the name, some initialization procedures, signature test and optional an unload procedure if is needed. In case the signed test fails the loading process of that plugin is stopping. Even if the Acrobat SDK allows creating plug-ins for OS platforms out of Windows (MAC, Unix/Linux) without too many differences (most because of configuration and used tools), I will describe down some details for plugin development on Windows platform. Download the latest Acrobat SDK and unzip in a preferred location. Create an environment variable for AcroSDKPIDir that contained the SDK content. Running Visual Studio “as administrator” it’s a good idea in order to be able to succeed the write into Adobe’s plug_ins folder. In order to establish an easier debug and deploy process, I preferred to add two additional environment variable AcroPluginsDir containing the Acrobat plugins files and ReaderPluginsDir for Reader plugins files. Having these environment variable set into your OS you can start the effective plugin creation. According to Acrobat SDK you can start from an existing sample so-called Starter project or you can start from an empty DLL project. The first version allows you having a fast up and running own plugin by just adjusting the files name and starting to apply the business logic. This will be needed for instance to easily include “PIHeaders.h” file. Add next preprocessors definitions into project settings: WIN_PLATFORM, WIN_ENV and READER_PLUGIN (C/C++ > Preprocessor > Preprocessor Definitions). Add the standard Acrobat callbacks functions prototype into other .cpp file (functions invoked into plugin structure topic) and start the business logic implementation. Here you can inspire from the content of StarterInit.cpp file (Starter sample project). In case you want to add some menu, toolbar or other UI items these should be added into PluginInit() function. Linker > All Options > Additional Options the next command: /EXPORT:PlugInMain %(AdditionalOptions). Without this setting, you will get a big surprise even if at the very first point of view the built plugin is signed and the DllMain() is accessed into a debugging flow. But none of the callbacks functions without this export. Conclusions: In my opinion, the Acrobat SDK it’s nicely designed but even if there are a lot of PDF references, somehow it doesn’t have the best online structured content, causing users to waste enough time to match all the pieces. Maybe because of complexity and flexibility that exposes it’s not very easy to find complete clean references.